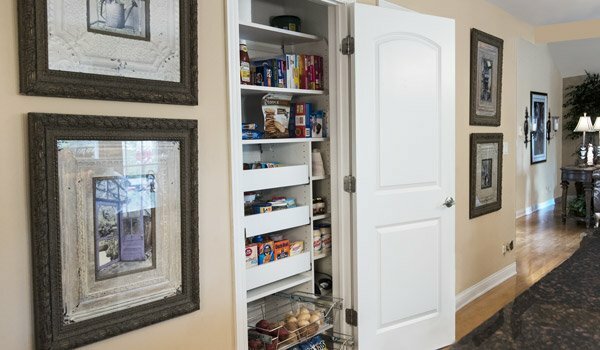 An organized pantry really is a "must have" for the pampered chef, aspiring "foodie" or short-order cook with a growing family. 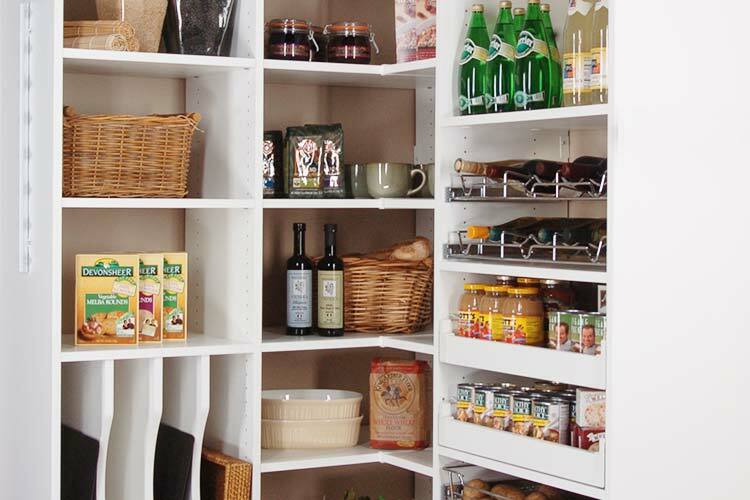 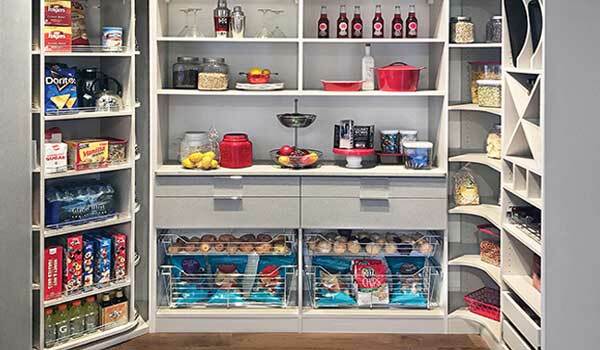 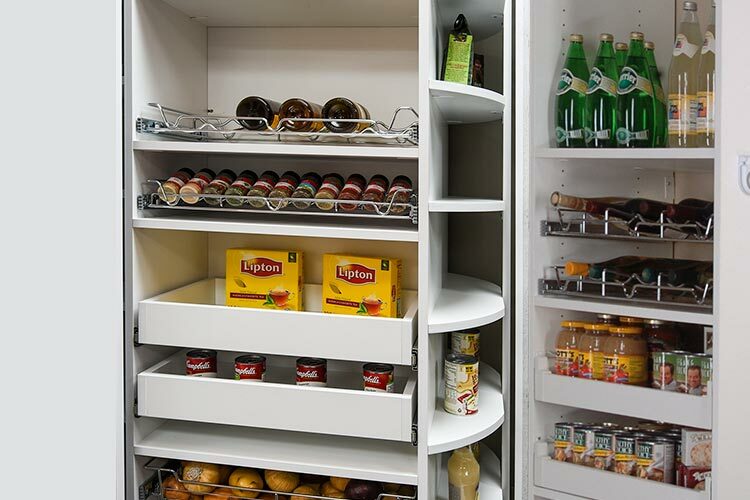 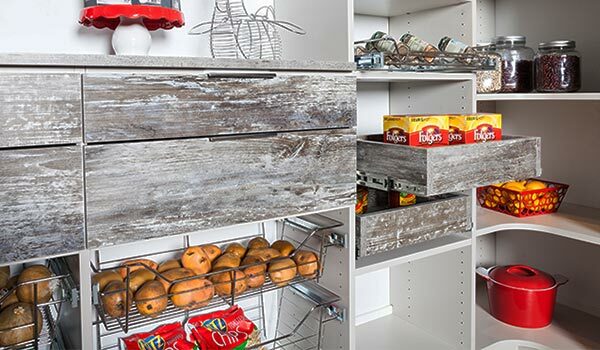 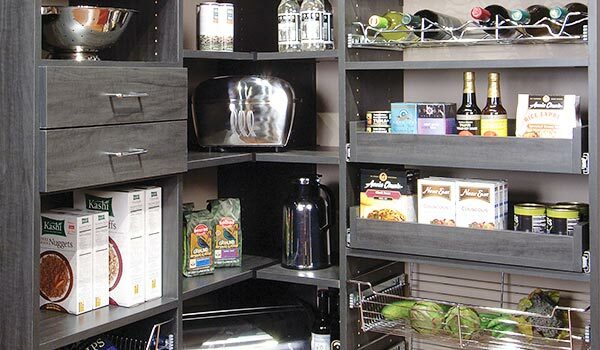 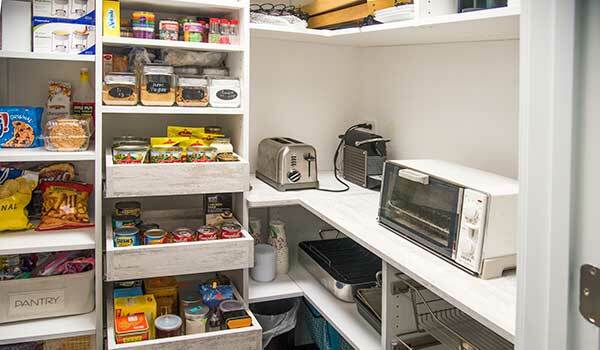 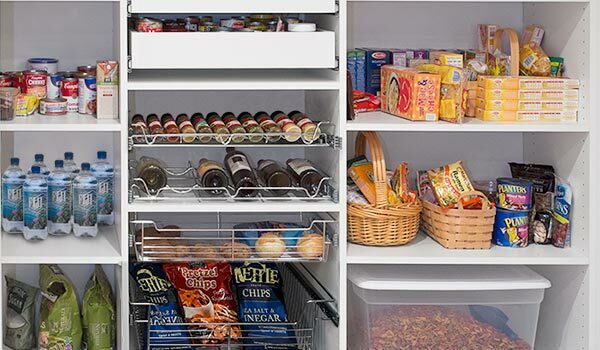 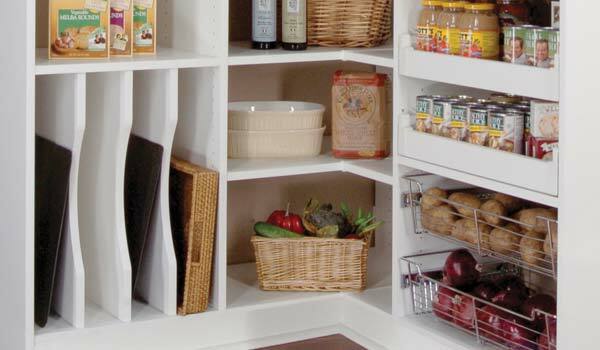 We provide custom pantry organization ideas complete with pantry shelving systems — including pull out shelves and drawers — that fit your space and needs. 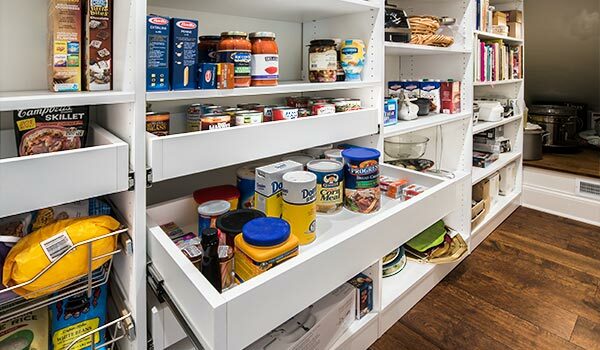 Our solutions encompass everything from wall units that integrate into your existing kitchen space to complete rooms dedicated to custom pantry storage. 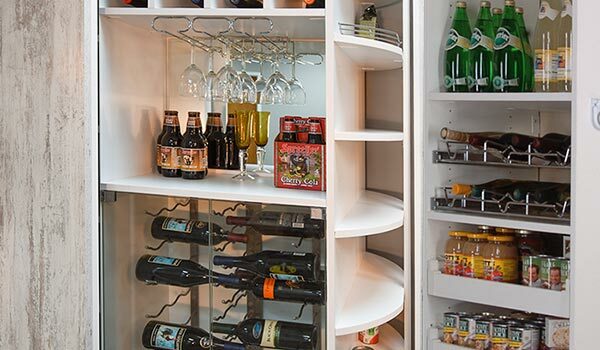 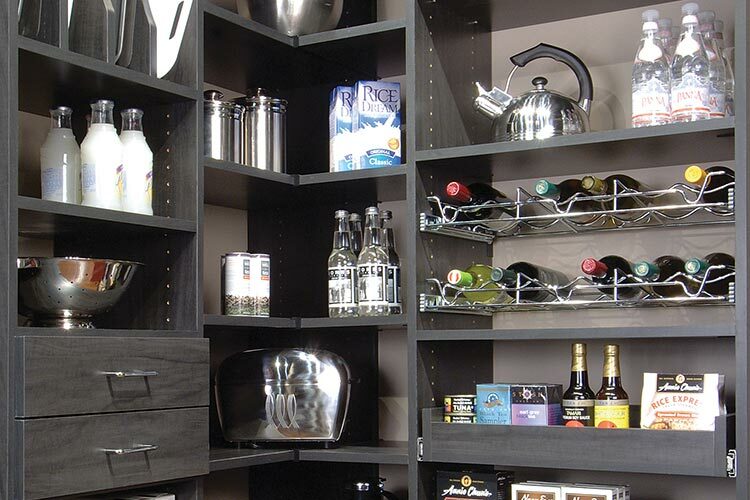 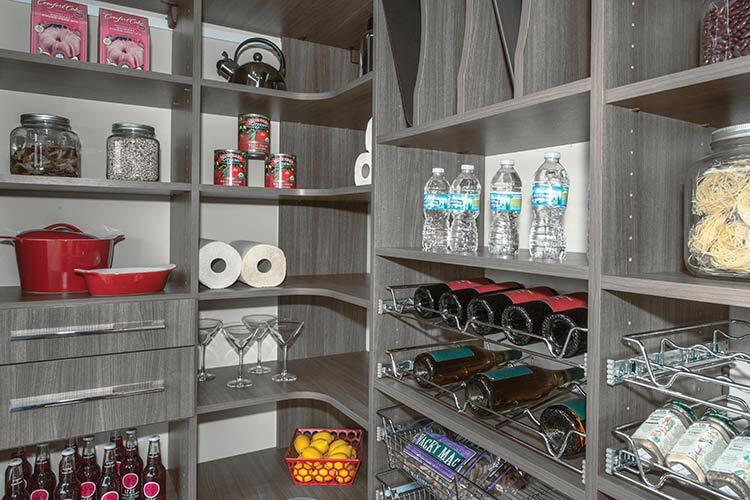 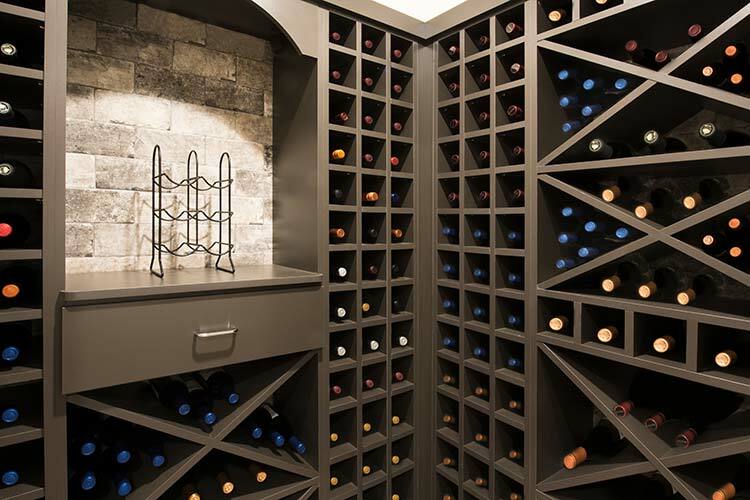 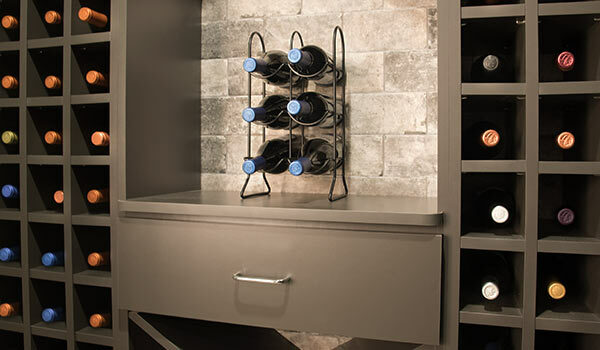 Whether you have an entire room available to serve as a dedicated wine cellar or just a few shelves to outfit with special bottle holders, wine aficionados will love our beverage center options — including cubbies, wine cubes, pull-outs for bottles and storage for all the glassware, decanters and "tools of the trade." 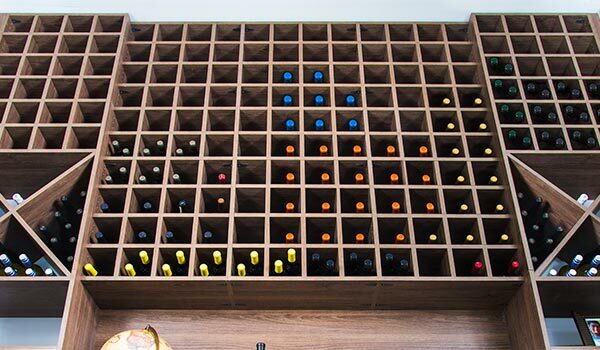 All of our solutions store the bottles horizontally, ensuring the corks never dry out — a must have for serious wine connoisseurs or even those who simply like a nice glass of wine with dinner. 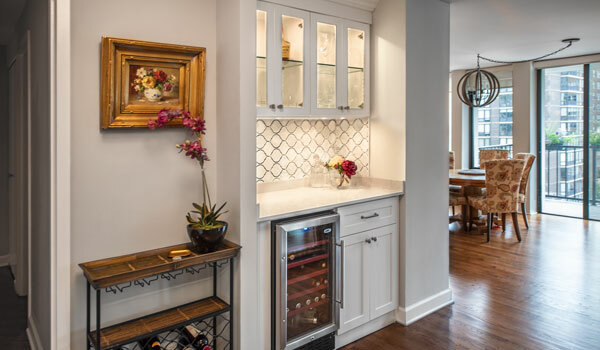 Custom Pantry Shelving & Wine Room Gallery: Click on any photo to view details of our pantry organizer projects.